This week, the Journal of Pediatrics reported research that supports the science that childhood vaccines alter the immune system. Now, the Journal didn’t realize that it was reporting information that is so controversial. Why? Because the research involved lowering the risk of some childhood cancers as being associated with 3 different kinds of ‘shots’ (HiB, IPV, Hep B). In a case-controlled study of 14,000 Texas school age children, those who were more completely vaccinated had a lower risk of some leukemias and brain tumors than those who weren’t as thoroughly ‘immunized’. The authors concluded that their findings should be verified in larger studies using individual vaccination histories. That sounds a lot like the concluding sentence of the now vilified Dr. Andrew Wakefield’s original paper which questioned a relationship between vaccinations and autism. Nobody is asking for these authors’ heads on a platter. No one is suggesting that there is some conspiracy to make people actually want to get vaccinated (though there is one). Yo, AAP. You’ve got a problem. You can’t have it both ways. You can’t say that it’s impossible that vaccinations, which have been implicated in a number of studies as having negative effects on the immune system possibly by leading to autism1,2,3,4, may only have a positive impact. 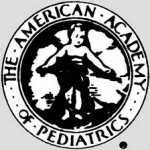 Once the cat is out of the bag, so to speak, that there is peer-reviewed research that indicates any other-than-expected outcome from the modern anti-cootie protocol, there needs to be “larger studies using individual vaccine histories” for all outcomes, not simply the ones that indicate a ‘useful’ side effect. Quoting from the original research paper, “vaccinations may play a role in regulating the risk of childhood cancer by nonspecific stimulation of certain macrophages and natural killer cells that target tumors. In addition, a properly modulated adaptive immune system promotes possible antitumor activity of T-helper 1 responses.” There were 7 scholarly references to these statement which, when used in the autism literature are thrown out as mere speculation by conventional doctors. Oh, and what about a suseptible population of children who do NOT have a properly modulated immune system? Furthermore, the authors state, “Thus vaccinations may be a factor in regulating the risk of childhood cancer because of their role in modulating the immune system.” Lemme get this straight, the vaccinations may play a role in cancer but couldn’t play a role in another auto-immune condition (ASD)? How many studies have been done to link autism to children who get vaccinated while they are “sick”, while their siblings or schoolmates are ill, when they have a previous negative reaction to a shot, when children are allergic to the vehicle that the vaccine is prepared in, or when there are multiple ‘shots’ given on the same day? The public is exposed to information that shows that, in huge populations who receive a similar schedule to today’s recommendations and compare the autistic versus the neuro-typical children, they both had the same type of vaccination schedule. There is no increased incidence of ASD in the highly-vaccinated children. But, that conclusion doesn’t address the very knowledge that the authors of this paper ask to elucidate – individual vaccine histories. This entry was posted on Monday, May 16th, 2011 at 2:44 pm	and is filed under >ALL<. You can follow any responses to this entry through the RSS 2.0 feed. You can leave a response, or trackback from your own site. Doc, you wrote: “in another auto-immune condition (ASD)” Aha, therein lies the rub! Are you saying that autism is an autoimmune problem?!?! That is where they will NEVER cave! It truly is amazing at how righteous all of their vaccinations are,,, for everyone. Every other drug out there comes with warnings that they are NOT for everyone. Every other “good” drug out there carries with it side-effects for the user. Some people can’t take it at all. Some people are allergic to aspirin, imagine that. But these vaccines that they are clobbering our kids with before the age of 2, we are told are pure and perfect for all! Ridiculous. I think your “they” and my “they” are two different theys.